A proper component in a solid business plan is arranging for succession planning in the event of the death of one of the primary partners in a business. A life insurance funded buy sell agreement is the perfect tool for any business partners. The simplest case would be two equal partners in a business, each owning 50% of the company. In the event of the death of one of the partners their ownership would probably pass through to their estate or the spouse of the deceased partner. The surviving partner is now in business with their partner’s spouse, and the surviving spouse is now charged with trying to unload ownership in a company at fire sale prices. 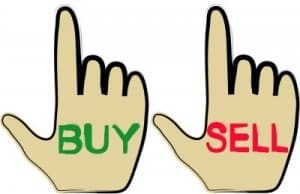 Enter what is often called a buy sell agreement. An agreement is put into place that requires the remaining owner to purchase the ownership from the deceased owner’s spouse. In the same agreement, the spouse agrees to sell their ownership at a previously agreed upon price. Great! In the event one of the partners dies, the remaining partner automatically gets complete ownership of the company and the surviving spouse gets paid a fair market value for their ownership in the company without any headaches. The next problem in this arrangement is how is the remaining owner going to make sure they can afford to buy out the spouse? The answer lies with life insurance. Each owner purchases life insurance on the life of the other partner. Assurances are put in place that any death benefit must be used to buy out the surviving spouse. Now in the event of the death of a partner, the insurance company pays the remaining partner the death benefit. The surviving spouse sells their ownership in the company to the remaining partner, who uses the death benefit to pay for it. Be cautious! The above information is only a very simple concept outline of how you might start to structure such an agreement. You will need to have a competent attorney to draft the agreement and a knowledgeable accountant to handle valuation of the company as well as tax issues surrounding the insurance premium and death benefit. And of course an experienced life insurance broker to help tie this all together with an inexpensive insurance product. The “latest and greatest” life insurance with chronic illness rider and/or critical illness benefits is also a great option for buy-sell agreements. What if you can no longer work and need to sell your business due to a chronic illness or if you suffer a heart attack, cancer or another critical illness and can’t work for a long period of time? Buying a life insurance policy that includes chronic and critical living benefits could be the perfect solution, as these could also pay a claim to the policy beneficiary for a business owner that needs to sell as a result of a chronic or critical illness. Buying an inexpensive 10, 15 or 20 year term plan is often the best and most economical solution when funding a buy sell agreement with life insurance. All rates are based on age and health, so buy the longest duration plan you may need/want while you’re younger. Since 1969 we have been helping business partners fund their buy sell agreements. Check out ALL rates available to you using the instant quoting form to the right and get accurate quotes by clicking on link below. Feel free to call us toll free at 1-800-380-3533 or simply email us if you have questions or need any more information. We will help you to obtain the best rate and value! !